The national and global markets are always growing. They are now becoming more diverse than ever before, and that means staying attuned to language trends. Many companies that are working to appeal to a larger audience are having their content translated so multiple demographics will have access to it. Let’s look at some of the common misconceptions about marketing in translation. 1. Translation is a niche market. 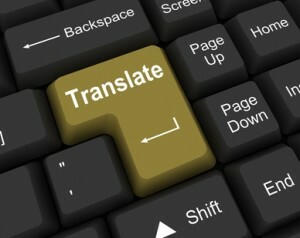 In fact, the market for translation is worth billions, and is only growing. Last year, outsourced language services were worth over $33 billion, and most of these services were provided by small agencies. The largest portion of this market is written translation, and for good reason. Additionally, according to the US Bureau of Labor Statistics, the job market for translation is expected to grow by 42% by the year 2020, with an annual growth rate of 12.7%. As such, translation is anything but fading away in our global market. 2. If I have someone bilingual working at the office, they can translate – no need to hire someone else. Think of it this way, though. If someone is a native English speaker, does that necessarily mean that they know how to write well? A translator is a person with specialized skills – someone who can write well in both the source language and the translated language. Translators are often highly educated as well, with multiple degrees and certifications, such as by the American Translators Association. Bilingualism is also not going to cut it if you’re looking for feedback on an already-existing translation. If you’re looking for quality control on a translation, a bilingual coworker is not going to be able to give you the right kind of feedback; it’d be like asking someone who specializes in bicycle repair to fix your car. 3. Machine translation is going to put human translators out of business. If anything is true for this myth, it’s the opposite. Machine translators such as Google Translate are great for translating individual words or giving you the gist of a sentence, but frankly, translation is not a free service. Simply running your text through a machine is not going to convey what you actually mean in your source text. On the other hand, this is not to say that machine translation should be avoided at all costs. If anything, many translators are using more and more technology because of something called “translation memory,” which archives previous translations into a database and helps translators to be more consistent. 4. Quality assurance is just a way for translators to charge more money.